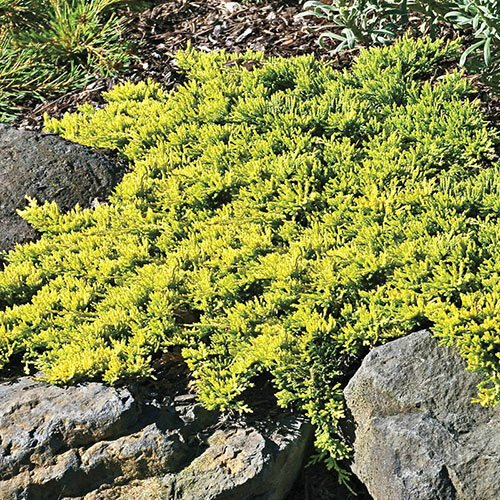 The low, spreading habit of Mother Lode Creeping Juniper is chiefly useful as a ground cover. It's best for that because it's evergreen and changes colors with the seasons. So instead of dealing with a problem spot in your garden, you can turn it into an all-around feature. The foliage is bright gold in summer, deep orange in fall and plum in winter. 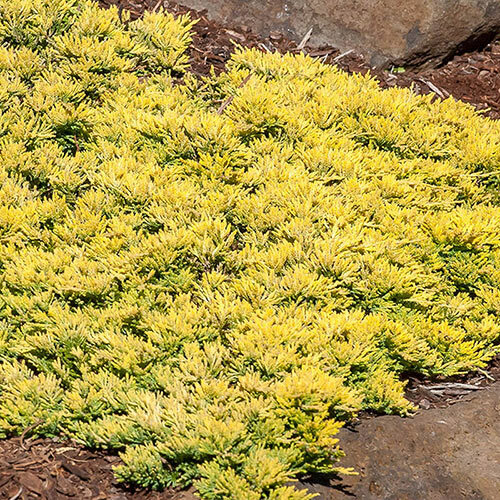 You can spread it over a hill you'd rather not mow or let it cascade over a stone ledge. Prefers heat and humidity.